Bangladesh is a very small developing country but is the eighth most populous in the world. We here are moving forward in the global market and are readily embracing and preaching technology to further our abilities and expand our reach. Google knows that and sees the extreme potential in the highly energetic youth of our country and the impact that they can make in the world of technology. Their answer to cultivate this potential? Google Bus Bangladesh. An actual bus fitted with large flat screen monitors, 3G internet and other tools, will travel across 35 locations of the country, visiting around 500 university campuses. 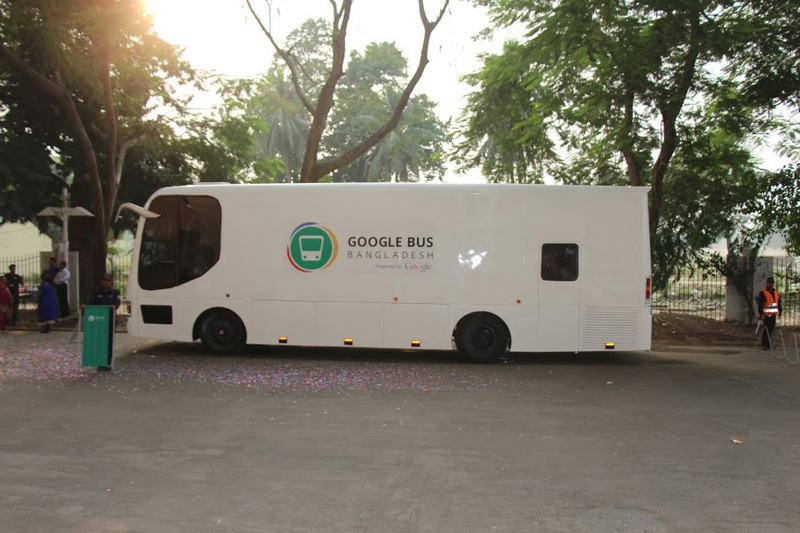 The official Google Bus Bangladesh Intro video states that the experience will comprise of an instructor led training session and peer collaboration to familiarise students with the tools that they can use to make the most of the internet. The internet is one of the 21st century’s most important tools and has even been put up to be treated as a utility rather than a consumer good. Here in Bangladesh, new people are gaining access to the internet every day and are purchasing devices like smartphones and tablets to experience the internet and its gifts. 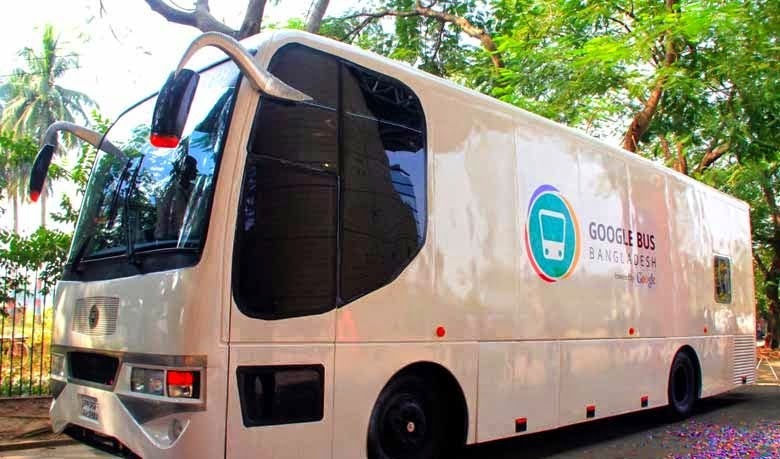 With Google Bus Bangladesh, the Mountain View based company wants to bring a platform on which the youth of the community, namely half a million university students, can learn and understand the endless uses and possibilities of the internet. By doing so they can then themselves develop content or other means of expanding the utility of the internet or even create tools and other technology to take advantage of it. Google Bus Bangladesh was inaugurated Wednesday morning (12th November) at the Bangabandhu International Conference Centre in the capital city Dhaka by State Minister for Information Communication Technology, Mr. Junaid Ahmed Polok. AT the launch event, Country Manager of Emerging Markets of Google South East Asia was also at the launch event and addressed the audience, speaking about the highly motivated youth in Bangladesh and providing them with the correct tools and training to to create a connected world. As innovative and motivating as this project sounds, real concerns are being voiced by people on social media regarding the safety of the bus that will tour the country. Political instability has increased again recently with numerous strike having been called last week. Most of the concerned fear the bus will come under vandalism or other forms of defamation. Nevertheless, this move must be highly appraised as it is taking a step in the right direction to generate further interest in technology and to hopefully facilitate a community of people with a drive to expand the use of the internet in Bangladesh.